Less than a week ago we told you about the release of the free pack, entitled Koenigsegg One: 1, and today we’d like to share the information about another Need for Speed: Rivals add-on, which is already available for purchase. If you are a real fan of Need for Speed franchise, then you probably know that on the 14th of March Need for Speed movie will appear in our cinemas, which means that the creators of the blockbuster and the game series can’t leave such event out in the cold. That’s why the new Need for Speed: Rivals add-on, entitled Movie Cars Pack, includes those cars that will be presented in the upcoming movie. 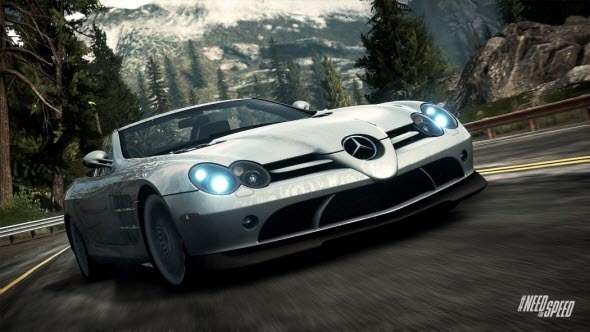 This DLC, which has such incredibly cool cars as Lamborghini Sesto Elemento, GTA Spano and Mercedes-Benz SLR McLaren 722, is available in three packs - for racers, cops or for both. It will be available for the owners of PS3, PS4, Xbox 360, Xbox One and PC. And if you suddenly do not know how these cars look like and what their abilities are (we'd like to say that their characteristics are just stunning), the game’s developers have tried to help you. Just 2 hours ago they published a fresh Need for Speed: Rivals video, which shows all of these supercars. What do you think about this Need for Speed: Rivals DLC? Are you going to buy it? Your answers can be left at the bottom of the page.